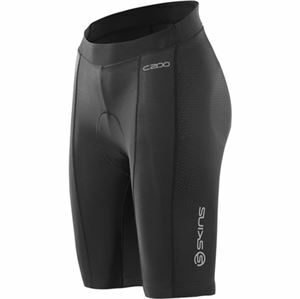 The tight fitting C200 W's Shorts from Skins feature an extremely soft waistband and, due to their compression technology and perfect fit, improve the blood circulation and oxygen supply of the body whilst cycling. That means less lactic acid is formed, which could result in aching muscles. The strategically placed seams support and stabilise the muscles, for longer endurance and shorter rest periods.